Today was Jeneé's parents 50th Wedding Anniversary and the 4 daughters put together an 'open house' for them ~ so that family members and friends could stop by and visit for a while. This is a photo of the original wedding dress (in the back) holding this bouquet of flowers. 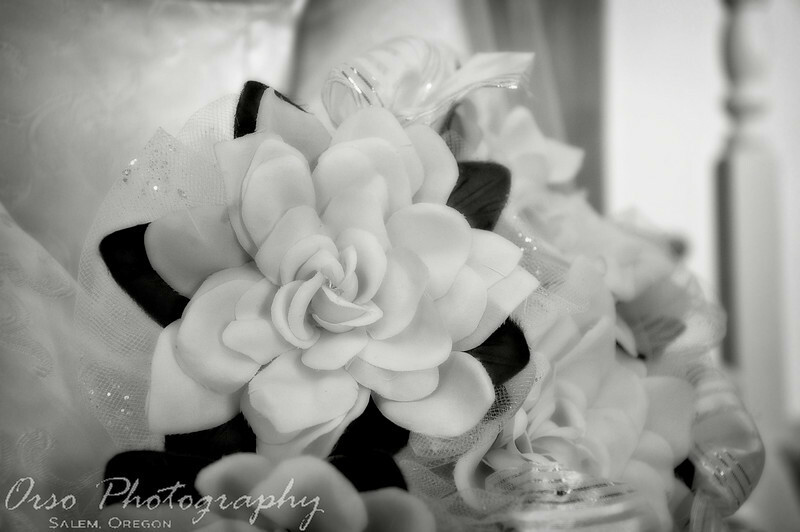 Wow... very nice shot of this wedding bouquet - it looks good in B&W too!